After 1602 through to the end of the 17th century the Dutch entered an old trading network in South East Asia between powerful Kingdoms and other external parties – Arab, Chinese and Portuguese known as the Nusantara wherein everything from Javanese horses to silk, spice, Martaban jars and food products were traded. This linked Kingdoms in Siam (Thailand), Myanmar, Tonkin (Vietnam), Cambodia, Laos, and Bengal, with Japan, Batavia, Sri Lanka, Formosa, Taiwan and other Dutch stations. The Dutch outpost factories at Ayatthuya (Siam), Tonkin (Vietnam), Zeelandia Castle in Taiwan and Dejima in Japan were particularly connected by the Dutch trade in Silk for silver and the Dutch controlled shipping between these centres. But this trade and trading links were dominated by crooked merchants who conducted insider-trading which undermined the Dutch United East India Company (VOC), their employer. For instance every time the VOC discovered that the head of mission at Tonkin was corrupt, he would be dismissed and replaced only to find that the next head would also be corrupt. This South East Asian scenario was to have a direct influence on the fortunes of the Cape of Good Hope, because of the destiny of one of those corrupt officials – Jan van Riebeeck. Thus the connection of slaves from Thailand, Myanmar and Vietnam (Tonkin) who appear in our heritage records at the Cape is not the only dynamic linkage. Most people do not know of the Jan van Riebeeck story of his connection to Vietnam, Thailand and Japan. The heads of mission or Directors of the factories were actually just petty lower middle-ranking personalities in the vast VOC commercial empire and the Tonkin factory was made up of one director (chief merchant), one assistant-director, one bookkeeper, one surgeon (an official charged with doing amputatins), several assistants including merchants, and a company of soldiers. As the first director of the Tonkin factory Carel Hartsnick started off in 1637 and was succeeded by Antonio van Brouckhorst who when he finished his service, recommended one of the younger merchants, a certain Jan van Riebeeck as his successor, because he best understood and conversed in the Vietnamese language. 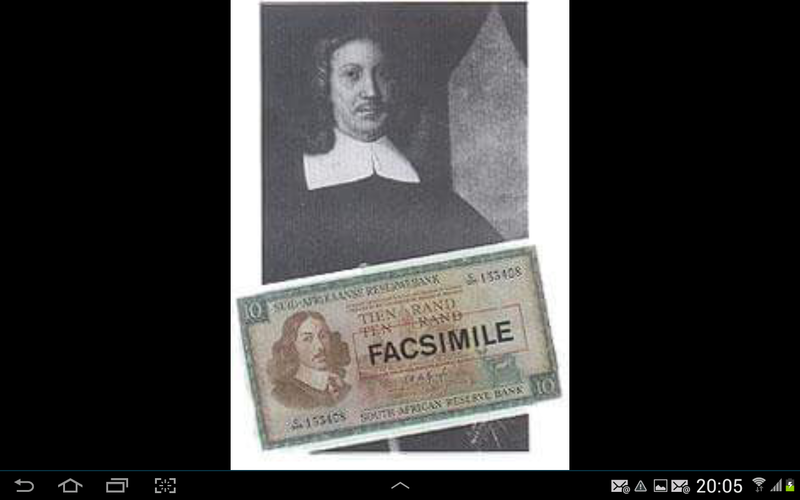 But Jan van Riebeeck was then found by the VOC to have been involved in the self-enrichment smuggling racket of private dealing at the expense of the VOC. He was thus dropped as successor to the first Director, dismissed and sent back to the Netherlands in disgrace. The Directorship was then given to Director Jan de Groot, who was later found to have also developed a vast smuggling network of illicit trade between the Ayattuya, Tonkin, Dejima routes, amassing considerable wealth for himself and undermining the VOC interests. He too was removed, and the next director, Philip Schillemans, proved to be both incompetent and unable to root out corruption. Tonkinese silk was continuously smuggled to Nagasaki by VOC officials who made huge fortunes. This chain of corruption ultimately led to the demise of the Tonkin factory in Vietnam. The Dutch later fared equally badly in Thailand and in Japan. The successor interim director at Tonkin, Jacob Keijser was also found to be corrupt as was his successor Baron and so was Verdonk who succeeded him. Epitaphs for van Riebeeck, through to Verdonk all sang their praises as pious upstanding religious men of great virtue. The record says different. Jan van Riebeeck while still in Japan was already scheming to get involved in an entrepreneurial venture of acquiring animal hides from the Cape of Good Hope and exporting these. Then on his voyage of disgrace from Tonkin back to Europe, in stopping off at the Cape of Good Hope in 1651 he developed a pitch to the VOC executives to establish a Dutch controlled half-way house for serving shipping fleets on their way to the east. A year later in 1652 the disgraced Jan van Riebeeck, one of the company of Tonkin rogues, was given the chance to redeem himself by leading the quest to take over the service role of local inhabitants to international shipping which for 40 years had been formally managed first by Chief Xhore and then Chief Autshumao who established the first proto service settlements on the mainland and at Robben Island. Both had been taken abroad by the British to London and Batavia respectively for ‘training’. Prior to 1613 for 130 years Europeans of all nationalities had been stopping off at the Cape and were informally serviced by whomever they met from indigene communities. The notion of the 1652 settlement founding Cape Town is an erroneous one albeit that the arrival of the man of Vietnam infamy was an important moment in history. The quest to establish a European service base at the Cape had been tried before by the British in 1614 when they attempted a settlement comprised of released Newgate prisoners, which failed after three years. Jan van Riebeeck kept up his South East Asian interests while at the Cape of Good Hope and then returned to Batavia after a decade at the Cape, and is buried there. Our history and heritage is closely bound to the Dutch United East India Company and to South East Asia, through slavery and the Dutch United East India Company (VOC) but most people today do not know about these deep ties. Most of those who hail Jan van Riebeeck as a super hero and founder of South Africa actually know very little about him and the history outlined here or the territories and Dutch imperial interests that the Dutch settlement at the Cape supported.